Panic Analogue is an original paddle controlled game. 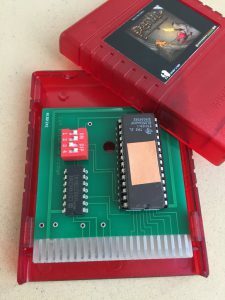 It was initially submitted to the 2011 C64 16KB Cartridge Game Development Competition (link) in which it received a third place. 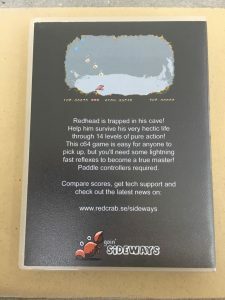 The objective of the game is to keep the main character named Redhead alive in the cave where he lives. Little Readhead survives by catching droplets of water and fireballs which are constantly falling from above. However, collecting water must be done with his mouth wide open while catching fireballs has to be done with his torch. Swapping between the two options is done by pressing the fire button. If water hits the torch or Redhead swallows a fireball he dies! If anything is dropped on the floor, redhead dies! Whenever you die, you restart one level down to make things easier again. Redhead is rewarded an extra life whenever he reaches 1000 points. If things gets too diffucult, it’s possible to hit F1 in order to enter ‘jumbo mode’ in which the size of the game character increases. The game is really fast and movements must be precise to not drop water or fireballs on the ground. 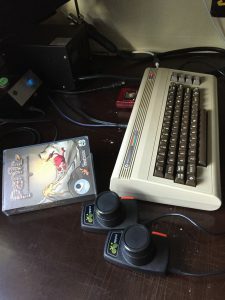 The only way to play is by using a paddle controllers like the ones described in further detail here. Almost all paddle games suffer from ‘paddle jitter’ which is a rapid shaking or unwanted movement of the on-screen character. 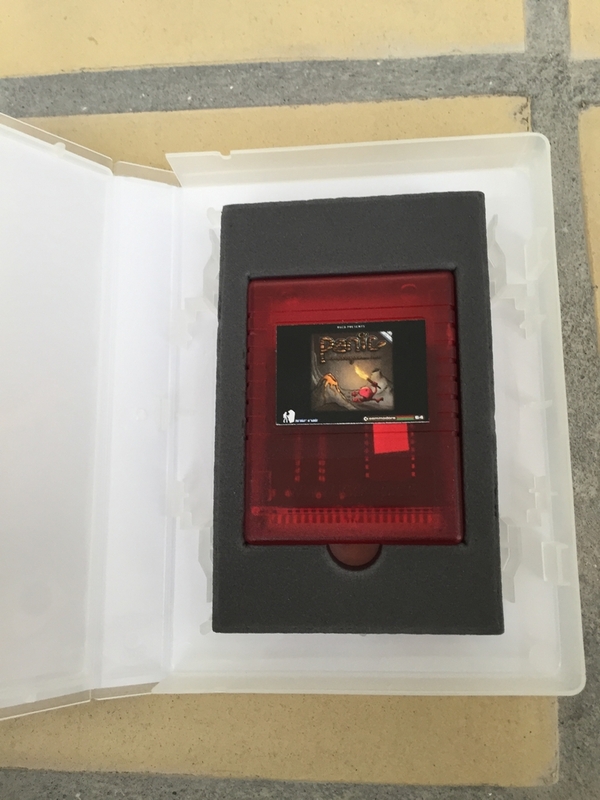 Panic Analogue has a software filter which minimizes or even eliminates this problem. I did not notice any mentionable jitter during gaming, so the filter is definately doing something right! 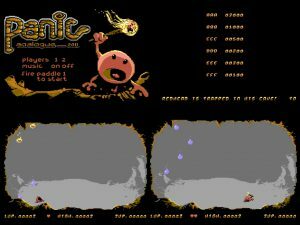 The game consists of 14 levels which are carefully designed to challenge every kind of gamer regardless of paddle skills. Each level increases the difficulty curve and it is not a flat curve in any way! All levels are generated randomly using a set of parameters hereby making each level different with no fixed patterns to memorize. 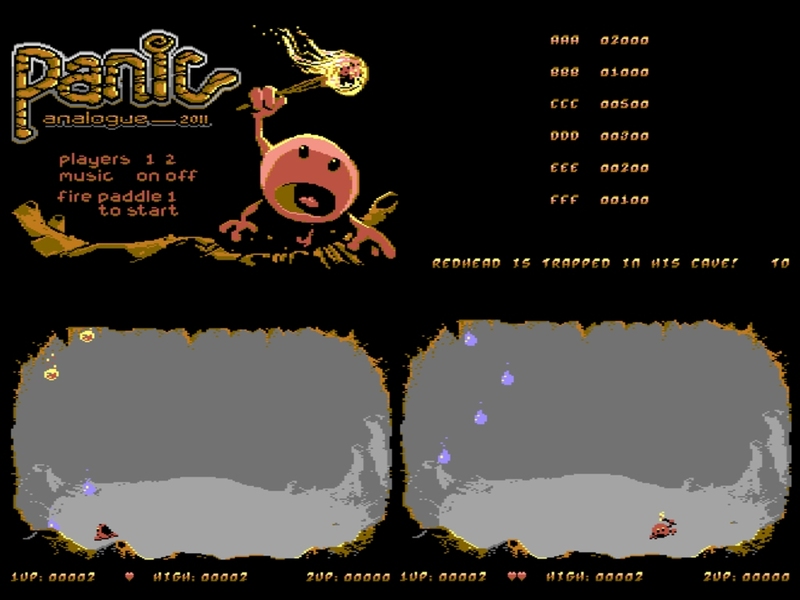 This is a video of the gameplay using real Commodore 64 hardware, a CRT television and paddles. 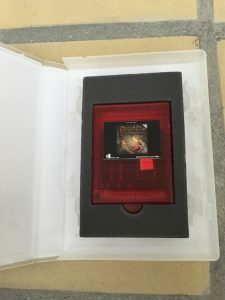 The quality is therefore not the best, but it should give an idea of the gameplay. I just recently discovered the world of Commodore 64 paddle games. 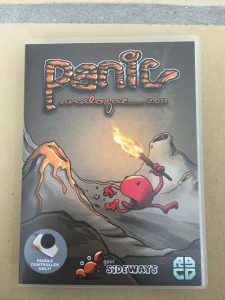 I believe there is around 40-50 Commodore 64 paddle games available and Panic Analogue is one of the top game titles on that list. I really like the way the game takes advantage of the precise control which can be achieved with gaming paddles. The software filter is working flawlesly as no jitter of Redhead is seen during gameplay. The choice of being kicked down a level, whenever the character is killed, is a great way of giving the stressed player a little break. The game is easy to learn but really difficult to master! I think I made it to Level 7 or 8 (standing up with sweaty palms, arms propelling and screaming at the TV) before being destroyed! As I said, I really like the game and think it is well worth playing. That being said, the lastability may be a limited as there is no rewards other than advancing to new levels or getting a better score. Call me old fashioned, but I like getting prices when playing. 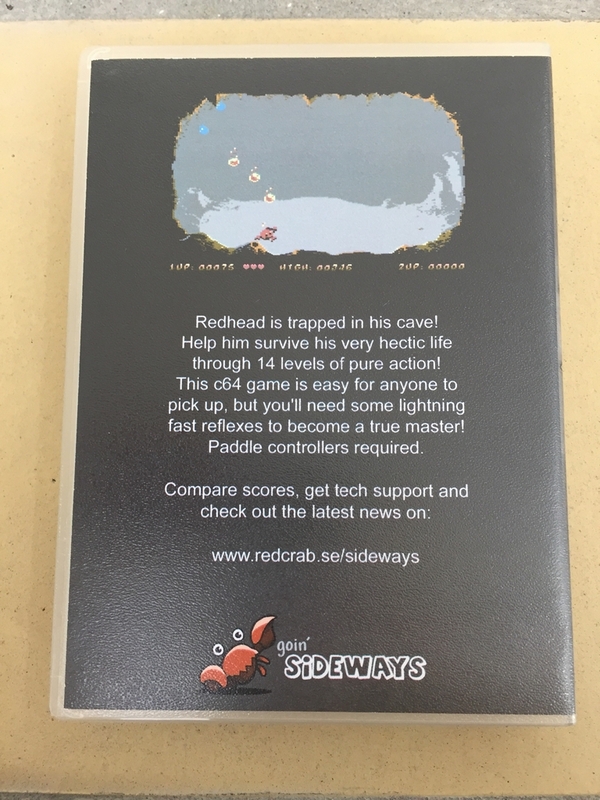 Kudos to goin’ Sideways for making the bold choice of making a paddle-only game.